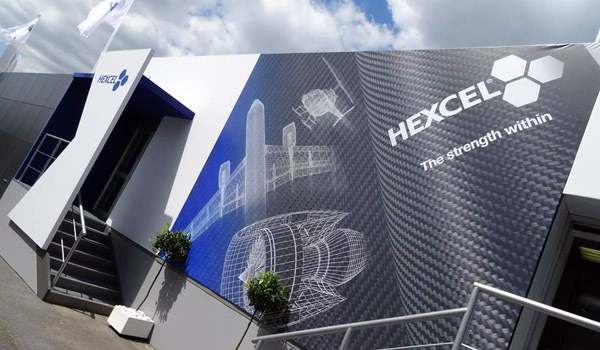 Hexcel Corporation announced that it will expand its carbon fiber production capacity through the addition of new precursor and carbon fiber lines in Roussillon, France. The $250 million investment will also include the associated Quality Control laboratories and offices. The new facility is part of Hexcel’s ongoing worldwide investment to create a diversified and robust global supply chain to support aerospace customers’ growing demand for carbon fiber composites. In recent years Hexcel has increased its precursor and carbon fiber capacities through targeted expansions at existing facilities. Most notably, Hexcel is investing in ongoing precursor and carbon fiber expansions at its U.S. facilities and is currently installing its industry-leading resin mixing and filming technology – first developed in Europe – in the U.S. The new facility in France is the next step in support of European customers, enhancing the supply chain by adding precursor and additional carbon fiber capacity in Europe. The new French plant will occupy a 37 acre site at the Osiris Chemicals Industry Platform in Roussillon, which is close to Hexcel’s weaving and prepreg manufacturing facilities near Lyon. Carbon fiber from the new plant will be supplied to Hexcel customers including Airbus for the A350 XWB and Safran for the CFM LEAP engine. Construction of the new plant will begin by mid-2015 and it is expected to employ 120 people when fully operational in early 2018.